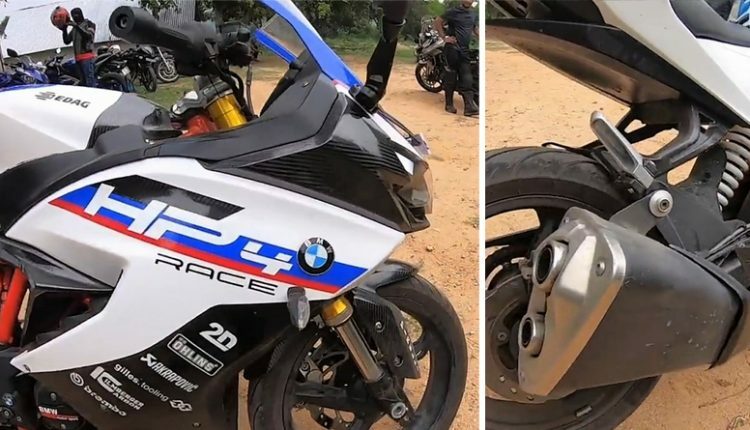 TVS Apache RR 310 HP4 Race Edition is a fusion between two impressive labels, both of which are strategic partners for lightweight motorcycles in India. 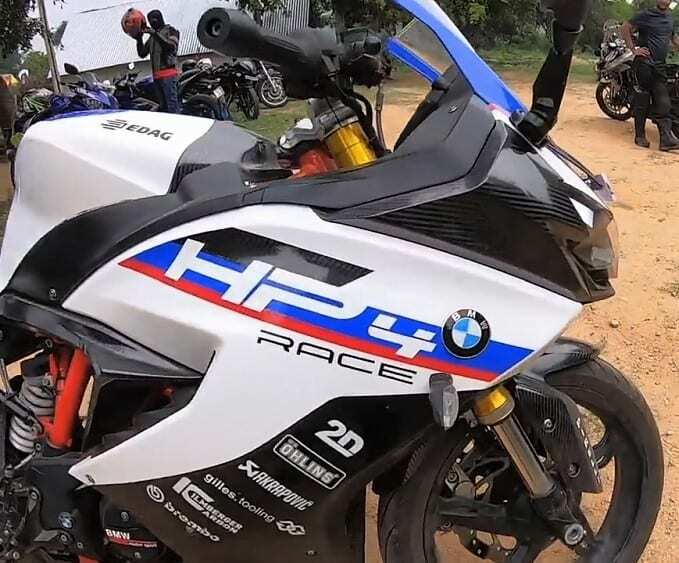 However, HP4 Race is more like a dream for entire BMW-Motorrad fan list, priced at INR 85 lakh and still getting track label on its existence. 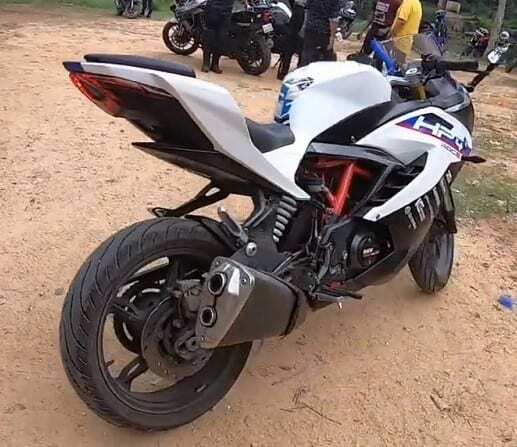 The rider here used the tricolor theme from the HP4 Race on his Apache RR 310, even finishing the side fairing in dual tone White upper and Black lower finish to mimic the fairing seen on the flagship racer. Adding fins to the fairing would have lowered the cooling efficiency of the RR 310 and thus, were missed on the bike. 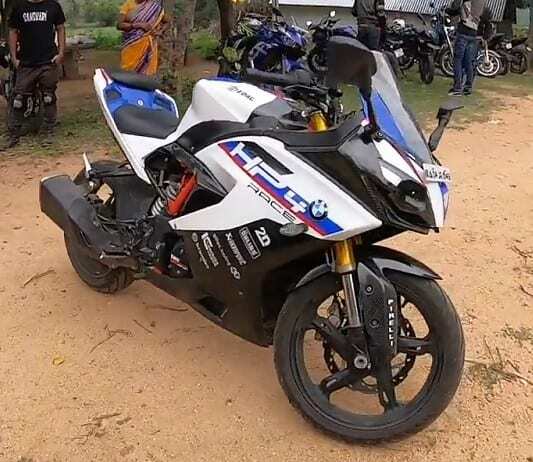 The upper section comes with BMW moniker, HP4 Race branding, Blue and Red inserts along the naming and Red RR frame. The flowing side panel is White while space between the front and rear seat is finished in the Blue shade. The front golden forks are matching with the overall profile, available as stock and looking as impressive as they look on liter-class superbikes. Another great addition to the package is a Kawasaki Z800’s exhaust system, resulting in a roaring sound and unique right side profile. The cost of this exhaust system is said to be over INR 1 lakh. 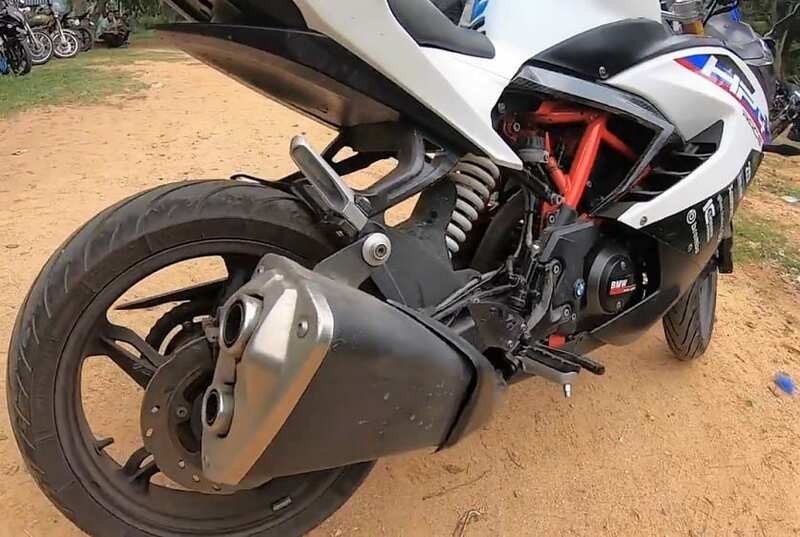 TVS Apache RR 310 is powered by a 312cc, single-cylinder engine, producing 34HP of max power and 27.3 Nm of torque. 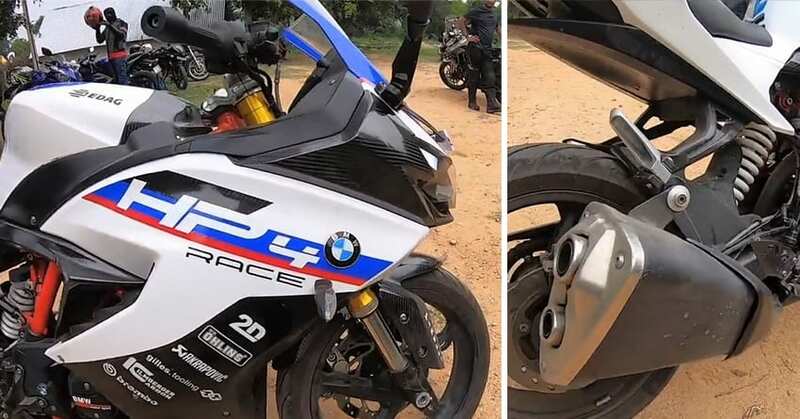 The same motor is employed in BMW G310R and G310GS, priced at INR 2.99 lakh and INR 3.49 lakh respectively. 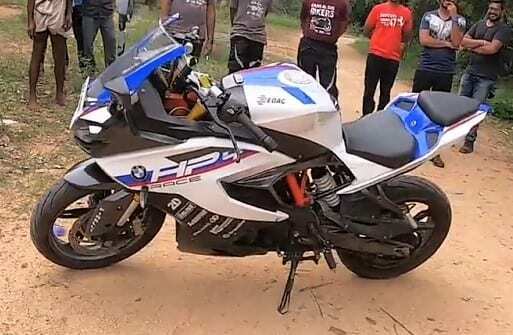 At present, the ex-showroom price of Apache RR 310 is INR 2.23 lakh in Delhi.